Since the 17th century, infantry have tried to shoot grenades from their firearms. Until the 1960s, this almost always meant some kind of muzzle attachment or a grenade that could be fired from the end of a rifle’s barrel. In May 1963, the U.S. military called for a new underslung grenade launcher to complement the AR-15 rifle then in early testing. The grenade launcher program had its roots in the ultimately unsuccessful Special Purpose Individual Weapon program that began in 1951. The military’s main demand was that the new launcher use the same 40-by-46-millimeter grenade that armed the M79 standalone launcher that was already in service. A year later in May 1964, Colt unveiled the CGL-4. Karl Lewis and Robert Roy reportedly drew up the blueprints for the CGL-4 in just 48 days. For loading, the barrel housing slid forward, allowing the shooter to place a grenade in the breech. You cocked it and pulled a long trigger that projected back toward the rifle’s trigger guard. The Army tested this launcher against designs from Springfield Armory, Ford and AAI. In March 1965, the Army chose the CGL-4 for further testing and ordered 30 launchers. Despite some problems with the barrel housing cracking, in January 1966 the Army placed an order for 10,500 of the new launchers, now designated the XM148. Production capacity issues and problems with the launcher’s sight delayed production. In December 1966 the first batch of 1,764 launchers arrived in Vietnam for field testing. Initial reports from the field were promising. Troops praised the “tactical advantage of both the point-fire and area-fire system” concept. The XM148 was especially well-received by the Navy SEALs and the Australian Special Air Service. 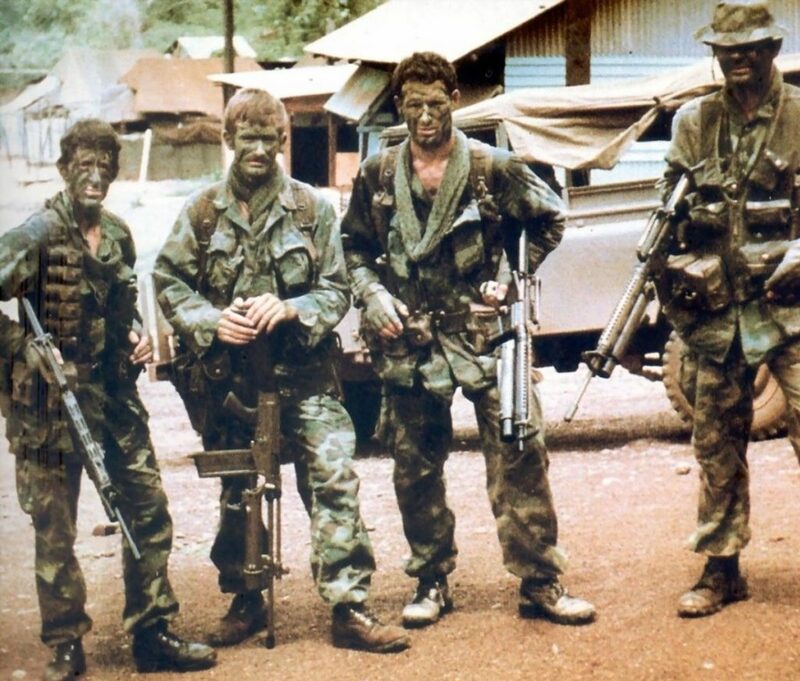 SAS armorers figured out how to attach the XM148 to the Australians’ L1A1 rifle by removing the L1A1′s handguard and attaching the XM148 to the rifle’s barrel. However, testers noted some serious issues, including a sight mount that was overly complex and prone to snagging on brush and kit. Cocking took too much work. The trigger mechanism was overly complicated and difficult to repair and disassemble. One safety concern was the XM148′s long trigger bar, which could snag and accidentally launch a round. Problems with the launcher’s quadrant sights caused deflection errors at longer ranges. The XM148 also precluded the use of a bayonet. When it fired, it would blow the bayonet off the muzzle. Overall, troops felt the XM148 was too fragile and complex for widespread use. 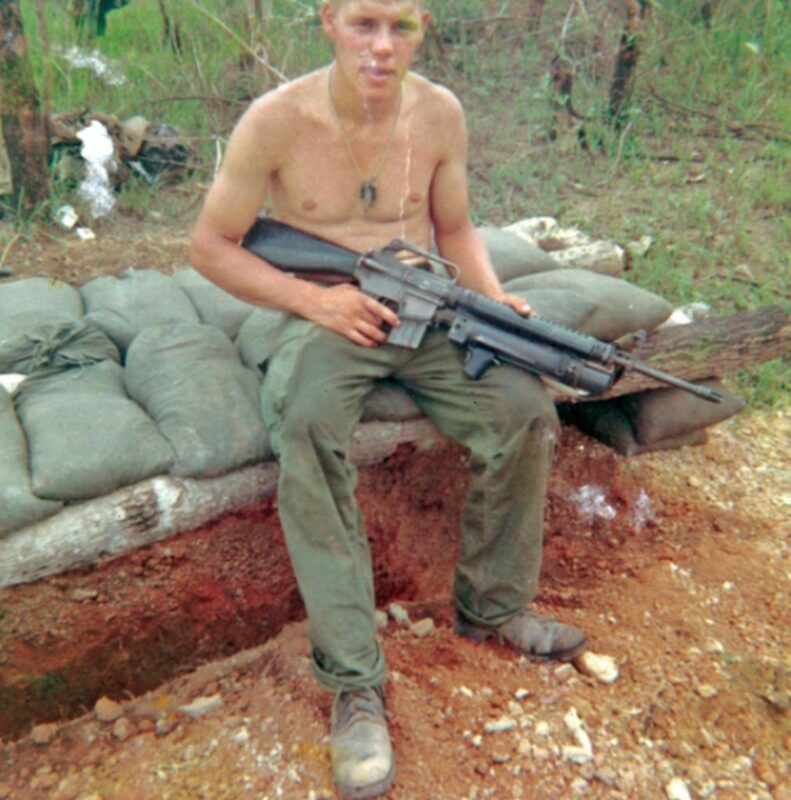 Despite Colt’s efforts to rectify the growing list of problems, the Army Concept Team deemed the XM148 unsatisfactory for deployment in Vietnam. This was a massive blow to Colt, which had already manufactured 27,400 XM148s. Many of these were already in Vietnam. The Army launched the Grenade Launcher Attachment Development program in the summer of 1967. A large number of manufacturers submitted designs including Colt, which offered the improved, Henry Into-designed CGL-5. The Army turned down Colt’s offer of 20 free, improved launchers and rejected the CGL-5 outright. The GLAD program saw the resurgence of the earlier AAI design, designated XM203. This simple design, now chambering the 40-by-46-millimeter shell, won the contest in August 1968. Ironically, the Army awarded Colt the main contract to actually produce the launchers starting in 1971, owing to Colt’s greater production capacity compared to AAI. For all its faults, the XM148 played an important role in proving the operational viability of the rifle-mounted grenade-launcher concept.